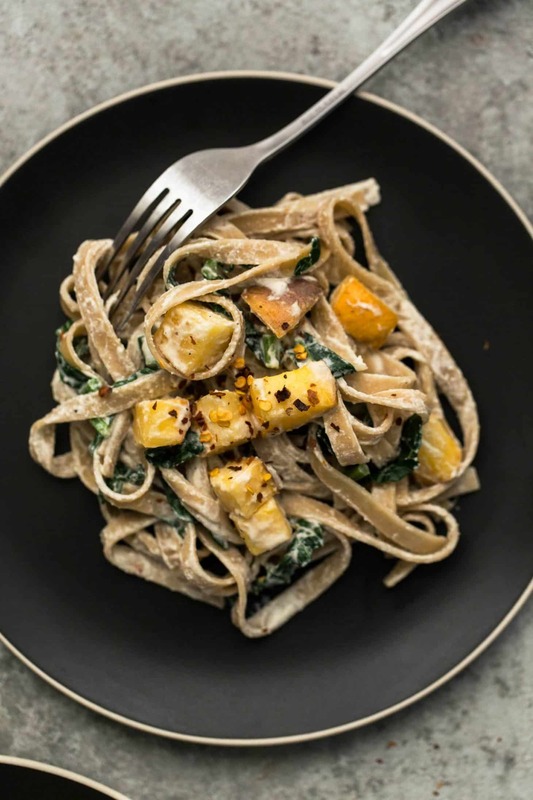 13 Vegetarian Pasta Recipes for Fall | Naturally. For along time I distanced myself from pasta. In my earlier life, being a new vegetarian in rural midwest was hard. However, restaurants made a try, usually with a pasta dish. I also made a lot of pasta in my early days because it was easy. I got really burnt out on pasta. However, many years later and a better balance in dishes, I’m happy to add a solid dose of pasta recipes back into my repertoire. 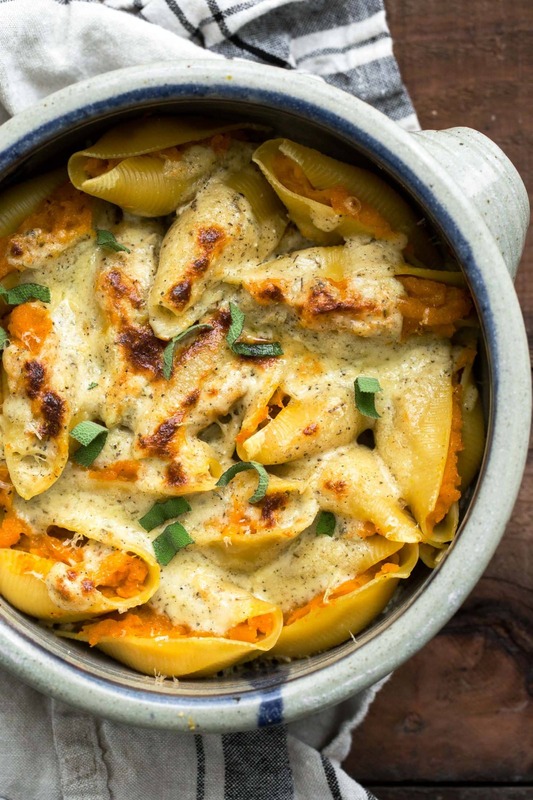 Below are the 13 vegetarian pasta recipes I turn to when the weather gets cooler. Some are rich, some are vegan but all are delicious. My whole goal when making a pasta vegan is to make my husband not question it. Pack it full of flavor (and garlic) and it seems like these dishes are always a win. Nuts and nut-creams are your friend. Play into the nut flavors as well- I love using pecan and walnut milks for a base, especially during the fall. My biggest complaint about restaurant pasta dishes is the pasta to vegetable ratio. Often it’s 90% pasta with a few measly vegetables tossed on top. These dishes are my rebuttal where most reach a 50/50 pasta to vegetable ratio. wow! 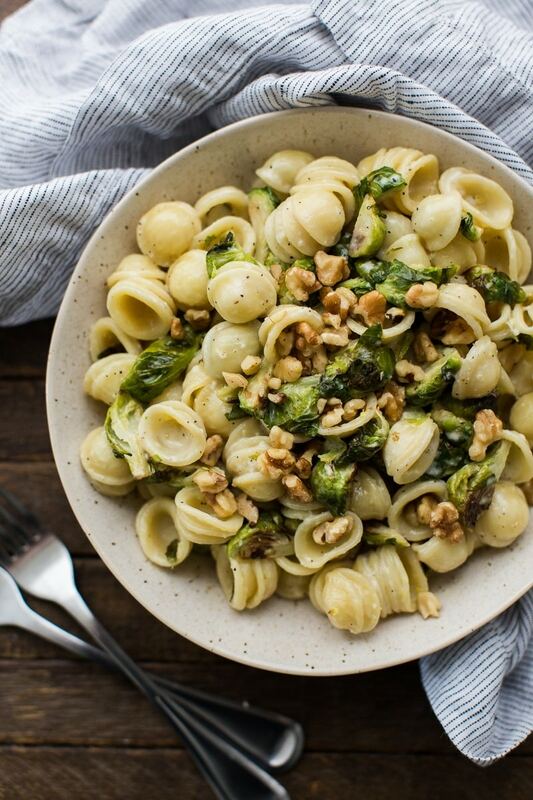 The vegetable-heavy pasta is just so perfect. Love vegetables a lot and your recipe are so cool. Such a treat reading your blogs. Fantastic suggestions as always. I love your style, dishes, flavour combos. My favourite food blogger by far! YUM!! Other than cheese, what do you do for protein in these dishes? I usually pair the pasta with a salad that uses legumes + nuts. You could also use a bean pasta in place of the noodles! You’ve got some really wonderful-sounding recipes here. I’m actually making the rutabaga pasta for dinner tonight, my second go-round on that recipe. Your recipes are so good that I could easily go back to being a vegetarian. Unfortunately that wouldn’t work for my husband, but I’ve been giving him ever more vegetarian meals, and he does enjoy them.